You are having general issues running NetObjects Fusion under Windows Vista/Windows 7. These issues may include troubles launching the software, using or placing components, publishing your sites, and/or random crashes. 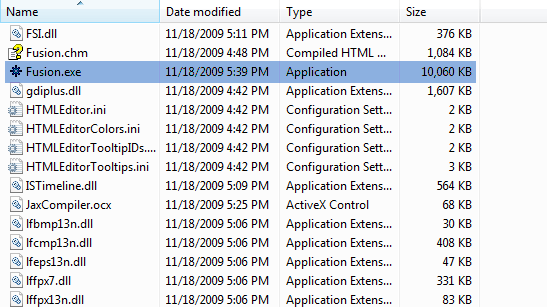 Make sure that NetObjects Fusion is closed, then browse to the installation directory in Windows Explorer (for example, C:\Program Files\NetObjects\NetObjects Fusion). Right click on the Fusion.exe file and choose Properties from the menu. A dialog saying An unidentified program wants to access your computer appears. Click the Allow button. 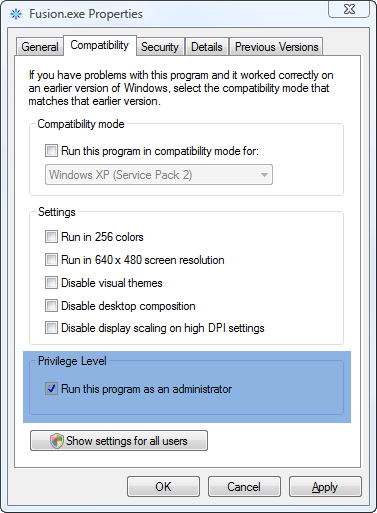 NetObjects Fusion will now have the correct permissions to run under Windows Vista and Windows 7.